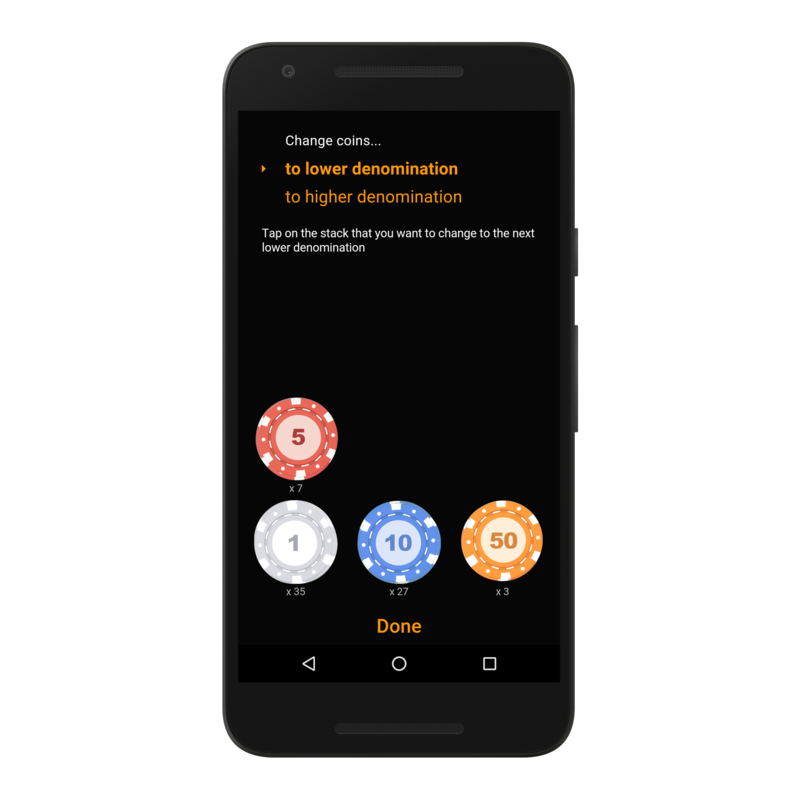 Play poker, teen patti and other card games using virtual poker chips. Download Chips of Fury and get the card games going. 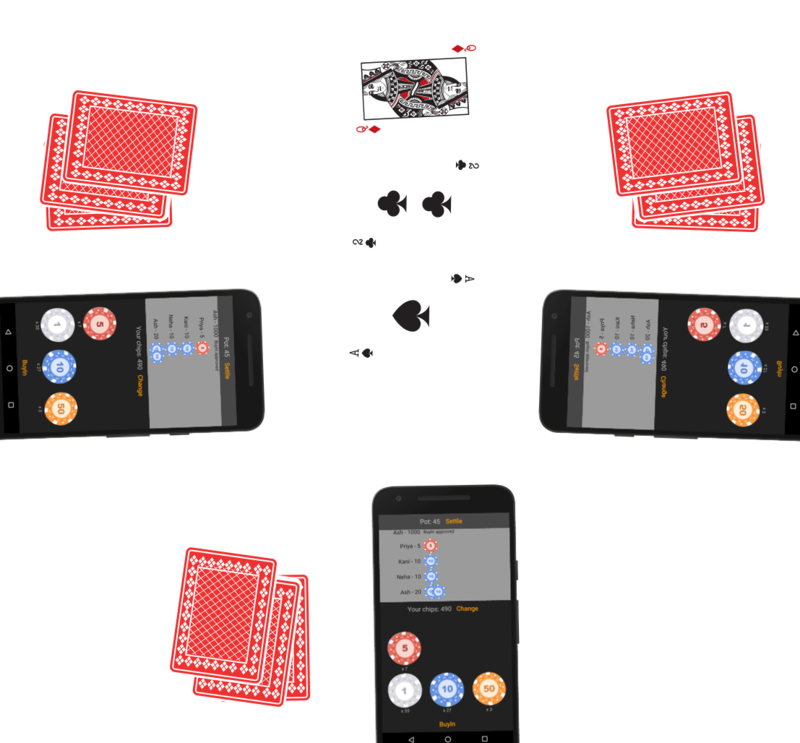 Play with physical cards and virtual chips. 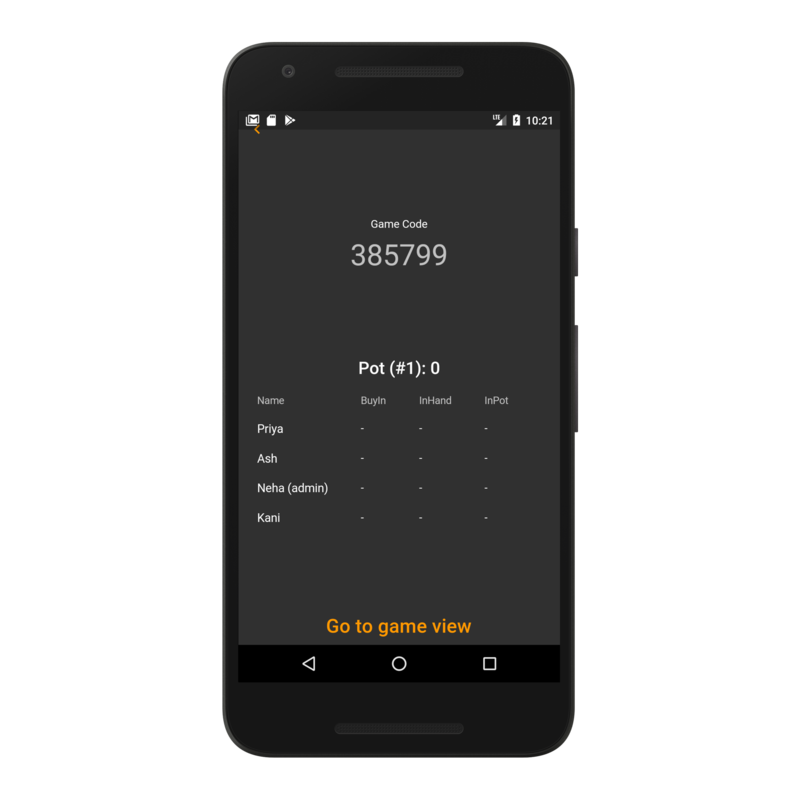 Start a new game and share your game code. Other Players join using the game code. When you start a new game, a unique game code is generated, using which other players can join a game. The player who creates the game is the admin. Everyone can request a buy in. All players can request a buy in. The admin can choose to approve the buy ins based on whatever real world rules have been set. Play your turns by tapping the chips. Once you confirm your turn, it will be permanently committed to the pot and cannot be reversed. 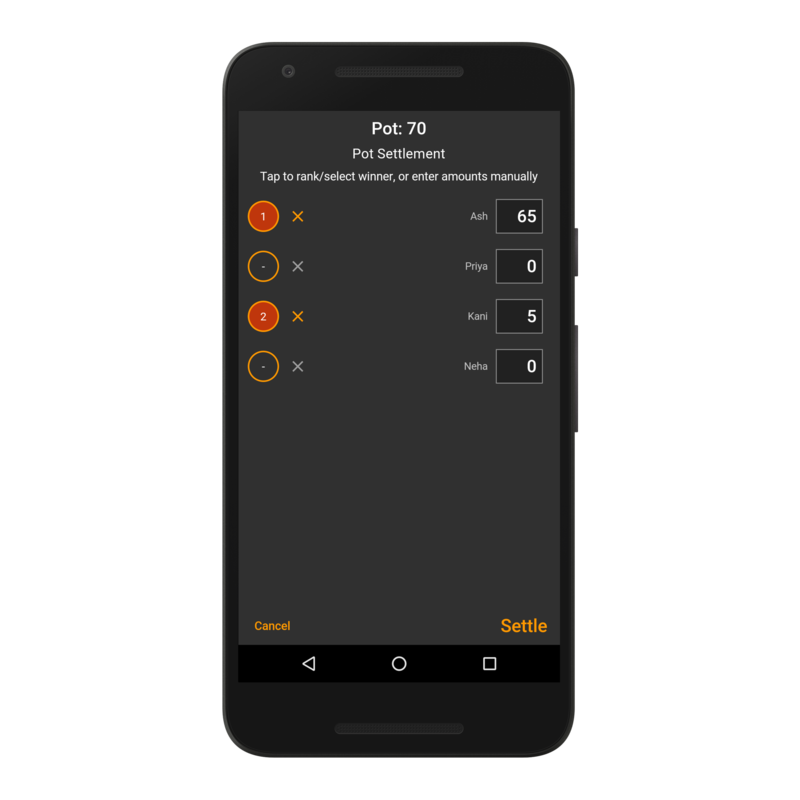 The pot is in sync and everyone can see each others' turns. Settle pot by selecting the winners. 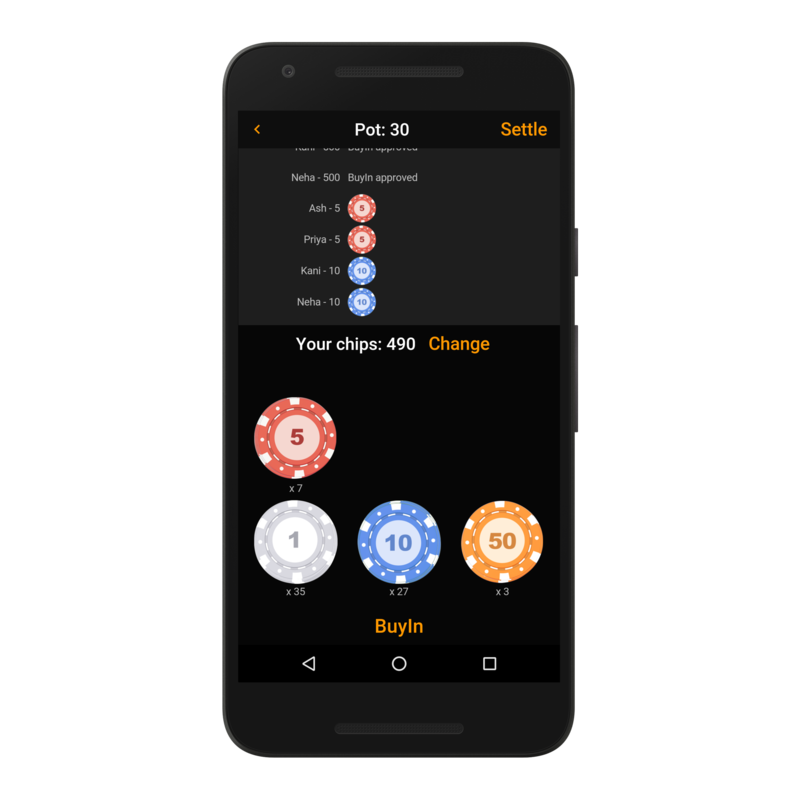 Side pot calculation logic (for poker) is built in. Just select the winning hand, the runner up and so on. Press the Settle button to distribute the winnings. Please note: only admin can settle the pots. Ran out of chips, and want to change to a higher / lower denomination. Easy! 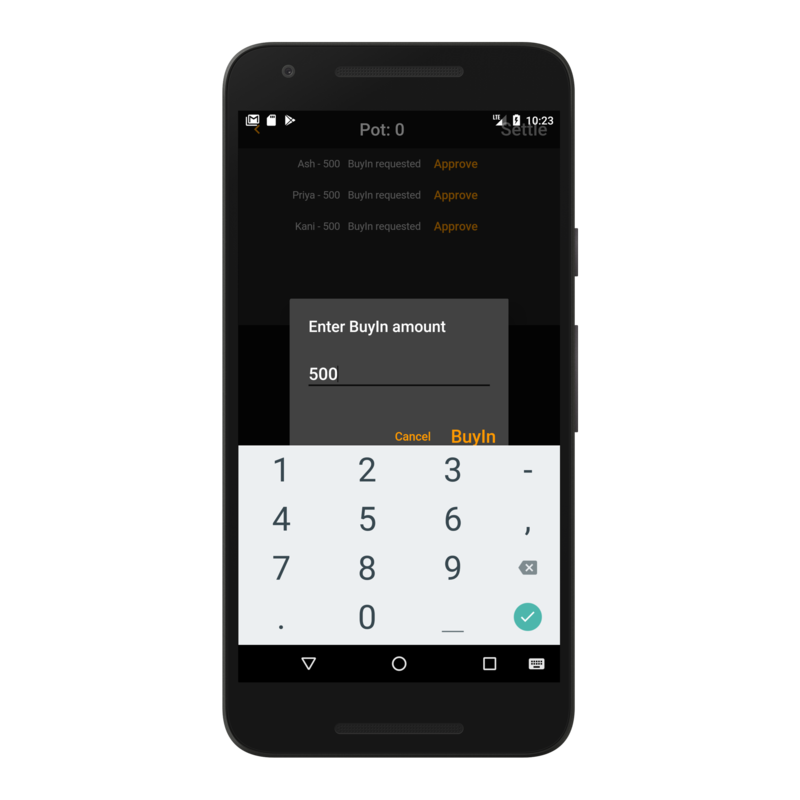 Just click on change and tap on the chips to exchange for a different denomination.